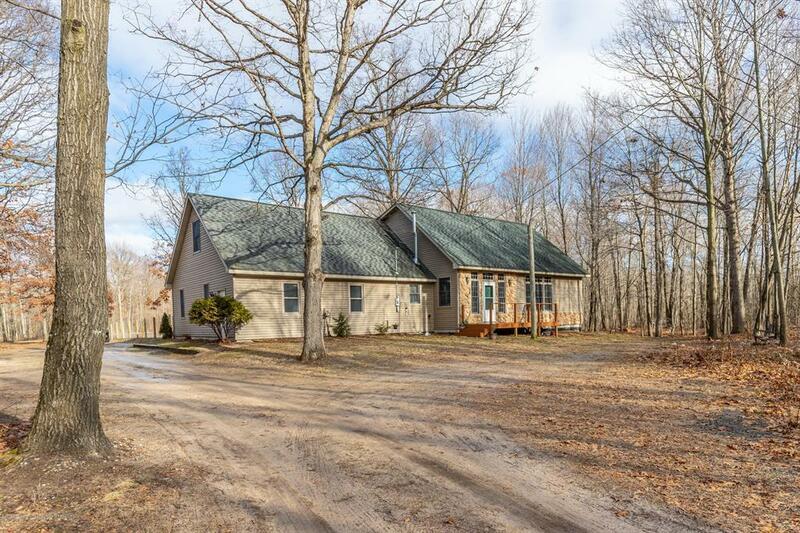 Beautiful custom-built home nestled on nearly 20 acres surrounded by natural beauty & woods with lots of trails & an abundance of deer sightings offers 3 spacious bedrooms & 3 remodeled full bathrooms. As you enter the home you notice the open floor plan, large living room with hardwood flooring & dining area with amazing wooded views. Off the dining area is a lovely kitchen, with heated tile flooring, plenty of cabinet space, & stainless-steel appliances all stay! 1st floor laundry room. Upstairs offers spacious master bedroom including master bath with brand new jetted tub & tile flooring. Hot tub in family room stays with the home. Updates include new lighting fixtures, new tile in bathrooms, new carpet, & freshly painted. Beautiful 28-foot deep pond that is spring fed. IDX provided courtesy of Realcomp II Ltd., via Re/Max Real Estate Professionals, Inc. Grand River and Greater Lansing AOR MLS, ©2019 Realcomp II Ltd. Shareholders.